This was the third year for the Women’s March and the crowd size was considerably smaller than in past years. Sen. Gillibrand talked with one of Iowa’s newly elected members of Congress, Rep. Cindy Axne. Axne told the crowd she hadn’t missed a Women’s March yet. She also told the crowd that while Washington is dysfunctional, the U.S. House looks a lot different. Axne said that gives her hope. Des Moines realtor Rose Green, who came to the march with her daughters, says she teared up when Rep. Axne took the stage. Green got a chance to speak with Sen. Gillibrand after the event and says it’s too early to say whether or not she would support her in Iowa’s first-in-the-nation caucuses, which will be held February 3, 2020. Green says public education is one of the most important issues to her as a voter. After the march, Sen. Gillibrand made a few stops in Des Moines’s East Village and concluded her trip to Iowa with a stop at Peace Tree Brewing where she answered questions about immigration and climate change. Sen. Gillibrand says Congress passed funding bills every time there is a major disaster for people to help rebuild their communities. Sen. Gillibrand started her trip in Iowa’s 4th District, represented by Republican Rep. Steve King. She told reporters Rep. King should resign for comments he made about white supremacy and white nationalism in the New York Times last week. The New York Senator made campaign stops in Sioux City, Boone and Ames, in addition to Des Moines. She postponed a stop in eastern Iowa because of winter weather. A divorced New York businessman billionaire with a mixed political history and knack for controversy and grabbing the spotlight might run for president. Another one. 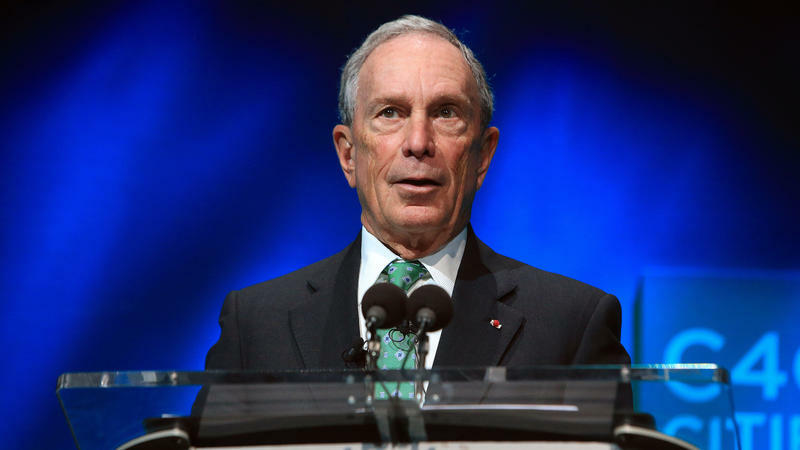 Former New York City Mayor Michael Bloomberg is again weighing a possible independent bid for the White House after seeing an opening in a chaotic and unpredictable 2016 race.